A lot of LibDib Makers have been asking questions about packaging and shipping. It’s really interesting coming from the wine side of things. Wineries have been shipping Direct to Consumer for a number of years now (thanks to great organizations like Free the Grapes and The Coalition for Free Trade). They know where to get their boxes from, how to pack up and how to label. They have accounts with the shippers and if they need licenses or compliance, they know how to get it. Distilleries, on the other hand, do not have that luxury of direct to consumer shipping experience out of their home state. It boggles my mind that spirits cannot be sent direct to consumers outside of state lines; but that is the way it is. So, a lot of our out-of-state distillers are somewhat confused about how to package up their products and ship them to restaurants, bars and retailers (or to our licensed warehouse depending in state regulations). First and foremost, we have had the most luck with FedEx. 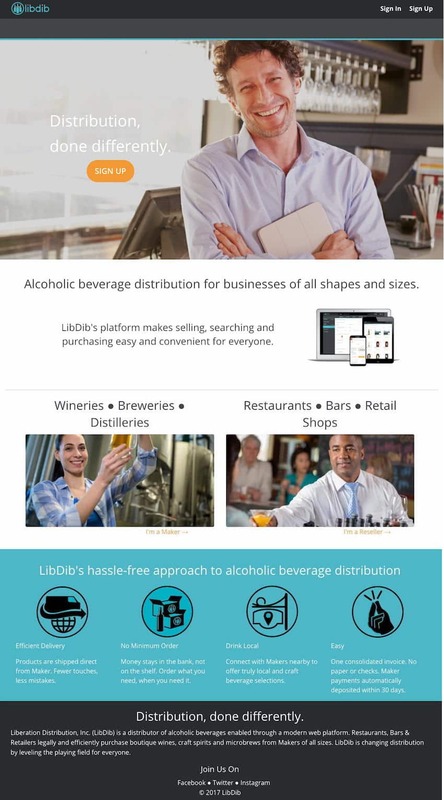 FedEx makes it clear that licensee to licensee shipping is ok. Keep in mind that LibDib is a licensed distributor (we can provide you with those license numbers if needed) and our Makers are all licensees. Restaurants, bars and retailers are also all licensees. So, anywhere a Maker sends a product, whether to our warehouse, or direct to an account, it is a legal (in allowed states), licensed entity. We manually check every license of all buyers on the platform. An account must be set up with a FedEx account manager and all packages must be labeled for reporting purposes. Be sure to have your shipping options set up and ready to go prior to going “live” on the platform. You don’t want to disappoint any accounts with delayed shipments. West Coast producers have a GREAT option with Golden State Overnight. GSO does not require a repack and can quote larger shipments like pallets. Packaging is another question the distillers often have, which is something wineries know pretty well. The corrugated boxes and cardboard insert is common and something wineries add on to their shipping costs overall (which we encourage everyone to do). LibDib has excellent partnerships that can help Makers with affordable storage and shipping via preferred Third-Party logistics providers. Storing product in a local warehouse has a number of benefits, including no repacking time or expensive secondary packaging and a speedy delivery. In California, we utilize California Wine Transport. In New York, we are “that close” to signing a deal for a LibDib warehouse. We can help with transfer, storage and all delivery services. Drop us a line at libdib@libdib.com for more information and rates.